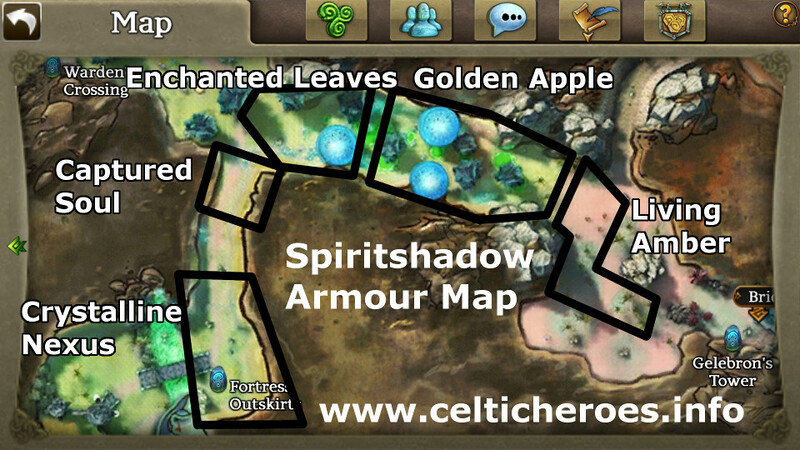 This guide will walk you through the quest to get the Spiritshadow Armor for the Android version of Celtic Heroes. The quest begins at level 100 at Warden's Crossing in the Otherworld. This quest will gain you the Spritshadow armor set, and is given by Heather Campbell at Warden's Crossing in the Otherworld, starting at level 100. Hello. My husband Phelan, lies dying in Lir's Reach and the only hope of saving him exists here, in the Otherworld. I did not know this place would be so strange and frightening though, and I cannot accomplish my task alone. 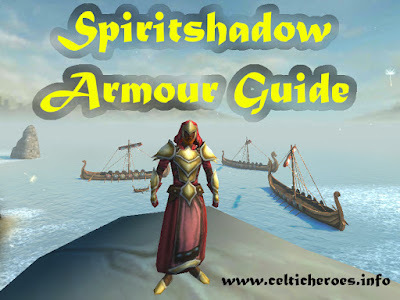 I'm looking for a Warrior to help me, and I can offer my Spiritshadow Armour in return.